Lacrosse is the fastest growing sport in the USA. 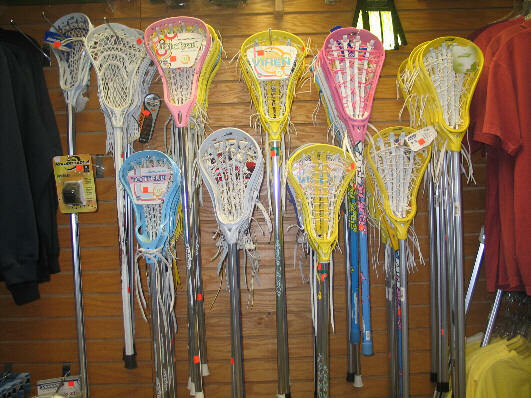 We have a great selection of sticks in both boys and girls which are Warrior, Brine, STX and DeBeer. Sticks start at $29.95 and go to $129.95. We have Cascade helmets @ $109.95 in either maroon or white. We sell a beginners lacrosse package for boys that includes a stick, arm guards, gloves, chestprotector and helmet for $189.95.We do custom lacrosse orders for T-shirts, hats or sweatshirts.